Nothing says Styling like Kraft and White together. I mean really...how gorgeous is that butterfly?!? Butterfly was cut with Silhouette Cameo then stamped and heat embossed, as was the sentiment. Super duper simple, yet so elegant looking. Gorgeous, Penny! What a wonderful idea! Gorgeous! I love the white and kraft. Penny, you are so right! I love that style -- kraft and white are always elegant together, and tour butterfly is a perfect example! Just gorgeous! 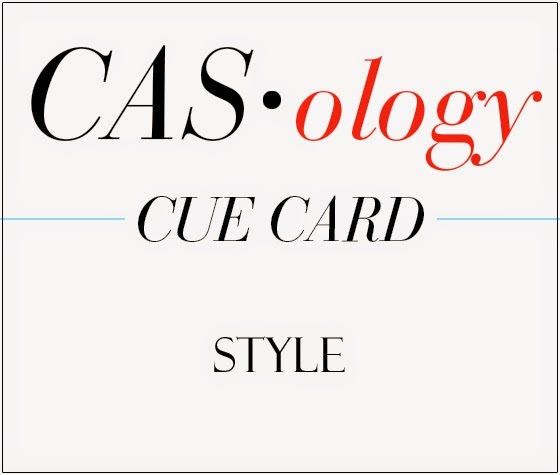 So glad you joined us at CASology this week! 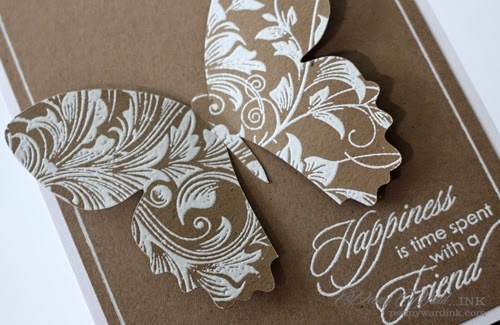 I LOVE white embossed onto kraft and those gorgeous leaves are perfect for your butterfly. Thanks for playing along with CASology this week! Amazingly beautiful and I love the look of white on kraft!! So in love with the way you put white lines down the sides too! Just amazed at your card making skills - you are really wowing me! !